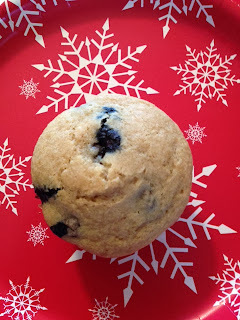 These muffins are perfect if your looking for a traditional blueberry muffin recipe. These are free of gluten, dairy and soy and are not too sweet. I hope you enjoy them as much as we did. Preheat oven to 350 and line a muffin tin with ubleached liners. In a large bowl combine the flour mix, evaporated cane juice, xanthan gum, baking powder, baking soda and salt. Add the milk, oil, eggs and vanilla and stir until just combined. Fold in the blueberries. Scoop batter into 12 muffin cups. Bake for 35 minutes or until lightly golden on top. There is nothing better when your in on a cold snowy day than some comfort food. This dish is very comforting and satisfying while still being packed with nutrients. I found the idea from Megan from The Detoxinista. This cream sauce recipe is a variation of --> this recipe. I usually skip any vegan cheese recipes that call for nutritional yeast because I am allergic to yeast. This time I figured I'd give it a try without the yeast and see how it came out. 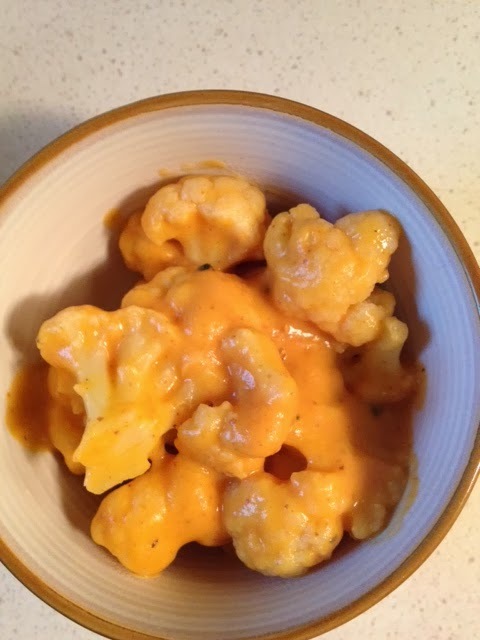 The result was a creamy, spicy "cheese" like sauce that would be great on any pasta noodles, spaghetti squash noodles, or on top of veggies (I used cauliflower). I left out the nutritional yeast, I used cayenne pepper instead of the chili powder and I used the orange sweet potato because that's all I had in the house. Cauliflower contains vitamins B1 (thiamine), B2 (riboflavin), B3 (niacin), B5 (pantothenic acid), B6 (pyridoxine) and B9 (folic acid). Cauliflower is a very good sourceof vitamin C and manganese. Cauliflower also contains carotenoids, such as beta-carotene, and phytonutrients. 1 cup of cooked cauliflower has about 3 grams of fiber. Sweet potatoes are high in vitamin B6 and caronenoids and are a good source of vitamin C and magnesium. Sweet potatoes also contain Vitamin D, Potassium and Iron.